As Mothers day quickly approaches I cannot help but to think of all the wonderful things that my mother did for our family each and every day while we were growing up. She worked extremely hard to provide us with hot meals, fresh clothes, motherly advice, and a safe and clean house despite working two jobs in order to support us. I always looked forward to Mothers Day because it was the one-day of the year that us kids could pay her back for the year’s worth of hard work. I took great pride in performing all of the chores, which in turn provided mom with a rare opportunity to simply rest and relax for the entire day. I truly believe that is where I discovered my passion for cleaning. You can provide all of the wonderful mother figures in your life that same feeling of rest and relaxation this Mothers Day. Give them the gift that keeps on giving. 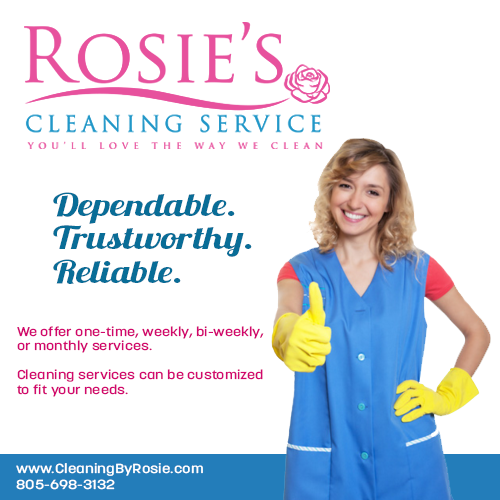 A gift certificate from Rosie’s Cleaning Service shows your mother, mother of your children, or any mother that you care about exactly how much you appreciate their hard work, effort, and dedication all year long. Just imagine how happy it will make them to see their homes sparkle and shine knowing that they did not have to lift a finger in order to accomplish that feat. Rosie’s Cleaning Service has been the Santa Barbara cleaning company of choice for our valued customers from the time that I started the business in 1990. Since then we have built a proven track record that is based on the highest quality service in the residential and office cleaning industry. All members of our Santa Barbara maids’ team have multiple years of cleaning experience. In addition, I take the time to personally train the entire staff on my extremely high level of customer service standards. This helps them to perform their job above and beyond what most customers have experienced from other cleaning services. We take great pride in servicing Santa Barbara and surround areas such as Camarillo, Carpinteria, Goleta, Isla Vista, Los Olivos, Montecito, Oxnard, Santa Ynez, Solvang, Summerland, and Ventura. In addition to our superior residential house cleaning services, we also specialize in Santa Barbara office cleaning. 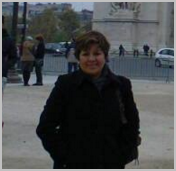 Rosie’s Cleaning Services is a family owned and operated business. Although our company has significantly grown over the years we will always continue to treat our customers as part of the family. I greatly look forward to working with you, and wish all of the mothers out there a very happy Mothers Day.